Get the hottest new movies for 50% off, exclusively with Tech Radar. Choose from over 1000 movies on demand with a new premiere added every day, and get stuck into the biggest blockbusters, including Marvel's Black Panther, The Greatest Showman, Avengers: Infinity War and loads more. Simply follow the instructions below to sign up now. 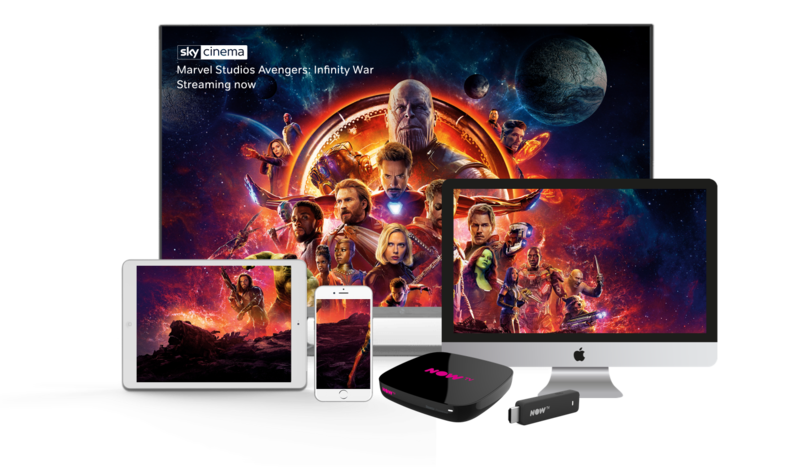 50% off Sky Cinema Pass offer: Available to new NOW TV customers signing up via www.nowtv.com/techradar only. 18+. UK only. At the end of the pre-paid period month passes automatically renew at standard price unless cancelled, Sky Cinema Month Pass at £9.99 a month. Offer not available in conjunction with any other NOW TV offer/Combo/promotion. You can cancel any time. NOW TV account set up with debit/credit card required for new NOW TV customers. NOW TV terms apply (nowtv.com/terms). Content streamed via broadband/3G (costs may apply) to compatible device. Offer ends 14th February 2019. Watch movies online and catch all the laughs, tears and thrills from the latest films and your favourite classics.